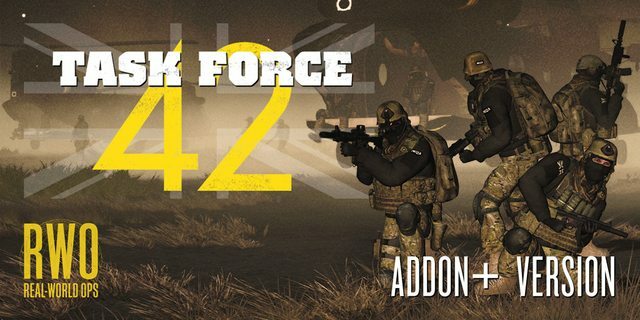 The Addon+ version is recommended for the ideal playing experience: it features extra missions and content, and is supported by carefully-selected addons that match more closely the vehicles, uniforms, and weaponry that the UKSF are believed to use. Experience the Addon+ version and play it as it was meant to be played! Extra weapons, outfitting, vehicles, maps, and bonus missions! Custom support scripts created by RCMW and HeadUp: PEDRO Pararescue, AH-1 chopper support, GR9 fast-mover support, Fly-in Reinforcements, and more! Spans massive portions of the excellent Reshmaan Province, as well as Zargabad as you've never seen it before, and yes, the FATA! Simply unpack the TF42+.pbo in your ..\<ArmA2OA installation>\Campaigns folder (you can create this folder if you do not yet have one). The Lite version is not recommended, but is for those who don't want the extra addons: it features the core story and the original final mission (which is different in the Addon+ version), but does not feature any of the bonus missions or content in the Addon+ version. Content created by HeadUp (h34dup) and RCMW is published under the "Arma Public License Share Alike (APL-SA)". You are free to take or change anything you can use, please just be sure to give us a mention in the credits. Wow! Ill have to make time to try this out. Looks amazing! Are there missing things - as it's beta 0.5? There is some missing voice acting in some of the bonus missions in Addon+ and maybe a line or two missing from the core story in both Lite and Addon+, as well as a few minor quirks here and there. Players may get a couple of error messages, but no game-breakers or endmission-needers. I wasn't able to test through the last two missions of Addon+ because I decided this needs to get released without any further delay, so there may be something wrong here or there that I missed while testing individual missions. I was able to endmission through both Campaign versions in order to make sure there weren't any critical errors with the campaign structure, etc., and everything appears to be fine. I welcome all AARs, feedback, impressions, and any bug reports you guys may run into while playing! While I already know I won't be able to release updates quite as rapidly, I do intend to fix whatever bugs I can solve within a reasonable amount of time. I'd also really like to figure out how to get this Campaign working in Arma 3 and/or All-in-Arma, as I try (and fail constantly) to find a way to get into editing for A3. I was going to do the same trying your campaign. The method I thought of would be to run AiA (preferably SA version) with A3modelsdisabled.pbo (enables A2 models) since this is run with A2 mods and see how the campaign fairs with the beauty of the new engine and more fluid soldier movements. If you're looking at porting this over to A3 then of course you'd need to use A3 mods (which there are plenty of that will suit this campaign) and swap out A2 objects for A3 equivalents. Script wise I reckon should be fine, just as long as the classnames of objects and/or units are adjusted to new ones. I tried running it in AiA before on my old windows install, wasn't able to get it working... need to try again. As for a port to A3 using A3 mods, I think aside from the maps, that would be possible. Though I'm not sure if there are proper British SOF weapons like the L119, L115, L128, etc. Still, could be worth exploring. Sadly, I still haven't been able to get too into A3 editing. However, I did start to adapt the CAS and support scripts RCMW wrote for TF42, they work pretty nice actually. 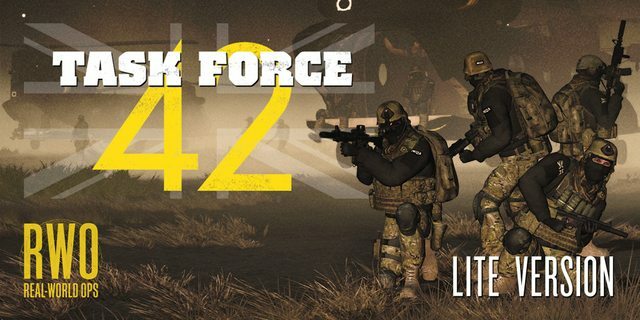 Task Force 42 is now also hosted on PlayWithSix, so downloading and managing all the dependencies should work much more easily. Can someone please do me a favor and try to verify that this works? I can test after work but it won't be for some time. If I can quickly get confirmation things are working, I'll ask Armaholic to update the pages with that info. Re: A3 mods, you wont get exact models as what the British use, but you will get very similar if not exact equivalents from other nation's SF or just a different designation of the gun. L119 = C8, can be had from CAF, otherwise M4A1's would do wonders, which there are plenty of quality mods for. The Mk18 is another good option. L115A3's, one in this pack and an L96 here. All in all, an A3 port is feasible and would fair pretty well with current A3 mods. Of course if these mods arent to your liking, you can always run AiA + original A2 mods (just as long as A3modelsdisabled.pbo is present in AiA) and run it as how it is in A2. It's nice to see that people are still interested in creating campaigns for Arma 2! :) Downloading all! That is thought-provoking. Maybe some kind of follow-up or manual port using only A3 mods and no AiA would be cool. For the life of me, I can't figure out how to get AiA to run all the mods needed. Also, using PwS to download the campaign appears to work -- but at the moment the Campaign doesn't show up in the Campaigns menu, for now, you need to manually place the .pbo into your Campaigns folder wherever your A2 install is. I've reported this issue to Six and they're investigating, so it should be resolved soon. Id be happy to assist you in getting an A3 version done, could try multiple mods out and make suitable templates of British SF soldiers. I like making custom loadouts for infantry in A3 with the new modular inventory system - lots of possibilities. One thing that might limit diversity is that most of the mods available currently are reskins of vanilla content, great ones albeit. Started playing a bit of the campaign. Enjoying it so far, tho Ive noticed a few issues here and there some netpicky. I did notice there was a line of voice acting missing during the SIS lady talking after killhouse. Look forward to playing more of this in my spare time! I'm playing it too. I love this campaign so far :D Thank you for this! Oh boy, I just realized that you are the same autor from "Lions of Kandahar". I'm playing that campaign too. Well done. My favorites so far. Hehe, glad to hear it, I was going to post in the LoK thread and recommend this new one! Your words of support do more than you probably realize, so they're much appreciated. I look forward to hearing your impressions on both once you finish them! I'm pretty sure she doesn't need to actually board the chopper, just be within 50m of it. Getting to test the hostage hidden objective was insanely tough, so there may well be bugs with this part. I'll have a look as soon as I have a chance. this is how the campaigns should be. I love the campaign so far. However, on the mission "End Game" where I have to reach a vantage point with a Sniper rifle and File is located in order to take out a target as a challenge. I can't seem to be able to pick up the file for the targets info, I also tried to look for the target without it, and no luck. Am I suppose to be able to pick up the file or not? UPDATE- I found the HVT but still couldn't pick up that file. I can't seem to pickup the silver briefcase, Is there a problem with my game/mission? I'm stuck at M3: Long range Patrol.. As i saw that is inposible to save both hostages (bomb explode on the place of the brown worker righ?) so Rita Ensler is only survivor. When i call medevac, Rita is still member of my group, and she is not entereing in the chopper! I try this for many times from many diferent angles! Any idea? I had a look into it in the editor, and it turns out the logic for completing the objective is kind of flawed: both of them have to be within 10m of the medevac chopper in order for it to be complete. It doesn't (currently) check if either is dead, which I will need to fix in a future update. As an alternate suggestion, are you able to drag or carry the other hostage's body? If so, you may be able to drag it toward the chopper. Still, this should be fixed in the next release. EDIT: Also, the bomb is only triggered if you enter the inner compound before neutralizing all the guards, you should be able to clear the area before the bomb timer is activated. Are you talking about one of the briefcases from M3? The one in Yafiah can be a little tricky due to its placement in the boat, try looking at it from different angles or positions with the action menu showing, you may see the action show up there. I've tested these before, if you can't get it still, please let me know and I'll try moving it to an easier position to access in a future update. Note to all: Some of the objectives may suffer from similar issues when it comes to picking stuff off the ground or interacting with static objects, some of which are partially inherent to the Arma 2 engine. In this case, you can still easily complete the mission with other intel, but it could present issues for those shooting for that 200 score. 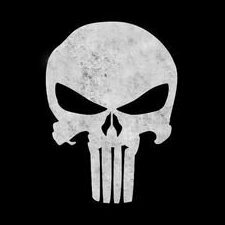 I think there's a bit of confusion-- the intel is actually used to locate the main HVT "Black Shadow", not the target for the objective near the hill you're talking about. What's more, you need to collect multiple bits of intel to narrow down Black Shadow's position, it should only save you one more step than simply killing all the assassination targets from Awalmir the warlord and getting it from him. Each time, the intel will be the satellite phones, which you can id by the chatter sfx. Yes, picking up stuff like the silver briefcase in Yafiah maybe tricky but you just need to try again from a different angle or positions. I want to report something in Long Patrol mission, When the MEDEVAC or the APACHE is taken down, a new sidemission is created (check crash site), BUT the problem is, that the sidemission is placed at the extreme corner of the map so I really couldn't go there an check that crash site because it was too far. I think maybe it's a bug? Problem solved! :) Thank you!